Ms Sitharaman yesterday visited forward army posts in remote Anjaw district of Arunachal Pradesh bordering China to take stock of the defence preparedness. Beijing: China today objected to Defence Minister Nirmala Sitharaman's first visit to Arunachal Pradesh, saying her visit to the state, which China claims as a "disputed area", is not conducive to the peace and tranquillity in the region. "As to the Indian Defence Minister's visit to Arunachal Pradesh, you must be very clear about China's position," Chinese Foreign Ministry spokesperson Hua Chunying told a media briefing. "There is a dispute on the eastern section of the China-India boundary. So this visit by the Indian side to the disputed area is not conducive to the peace and tranquillity of the relevant region," she claimed. "The Indian side should work with the Chinese side to make contribution to properly revolving the issue through dialogue," she said. China claims Arunachal Pradesh as part of South Tibet and routinely objects to top Indian officials' visit to the state. India has always maintained that Arunachal Pradesh is an "inseparable part of India". Earlier this year Junior Home Minister Kiren Rijiju, who belongs to the state, told China to refrain from "interfering in India's internal affairs." 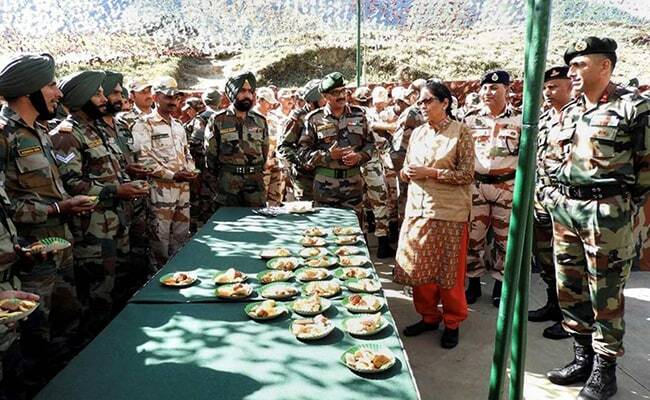 Last month, Ms Sitharaman had visited Nathu La area on the India-China border in Sikkim and greeted the People's Liberation Army soldiers across the border.